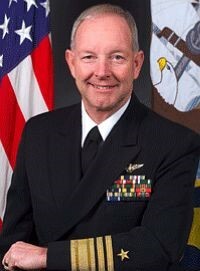 The USS Seattle AOE-3 Veterans Association is extremely pleased and excited to announce Vice Admiral Gerald L. Hoewing as our banquet speaker for our tenth reunion in San Antonio. Vice Admiral Hoewing was our Captain from January 22, 1993, to August 20, 1994. He conducted the decommissioning of Seattle March 5, 2005. His final assignment was as the 53rd Chief of Naval Personnel.